Bituminous Coal is a plant-based sedimentary rock. 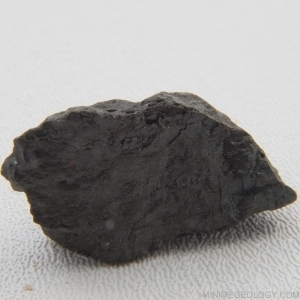 This coal is solid black and shiny with no visible grains. Coal forms from plant material.